Apparently monochrome is going to be a key trend this coming season. This is good because I already have a lot of black. And white. And find them easy to wear together. You can pretend its because I am stylish, but I know that you know its really because I lack imagination in putting colours together. My outfit was a long sleeved striped top from Primark (these stretchy long sleeved tops are great. And about £2. 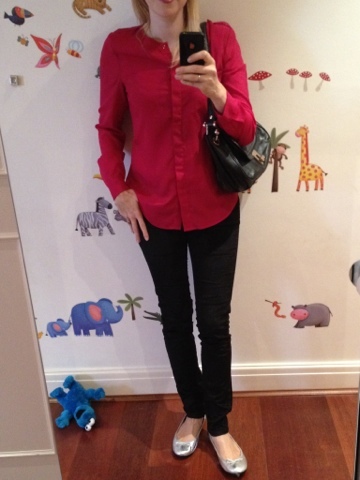 Which actually makes them fantastic), Zara super skinny jeans and red Aldo Frarani boots. I was also wearing a Uniqlo black wool heavy gauge polo neck jumper that I wish I had had the foresight to buy in both the black and navy. I love it – great shape, so thick and made of pure wool (which isn’t itching me, for some reason. Maybe because the neck isn’t tight). If you see one in your Uniqlo (they are sold out online and are reduced to £20. God, I am a fool to not get the navy! ), do buy one – they are perfect for the coldest part of winter. 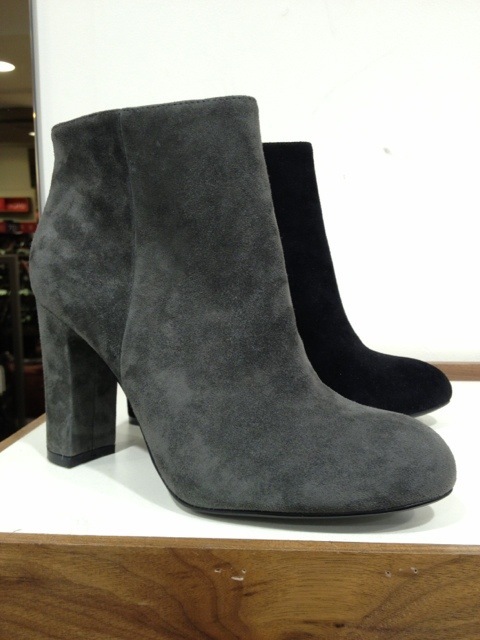 Anyway, while I was out and about, I saw these lovely, but too high, grey suede Narelle (labelled as Marlene in Westfield) ankle boots in Jones the Bootmaker. If you can deal with the high heel, they are worth considering (£99). 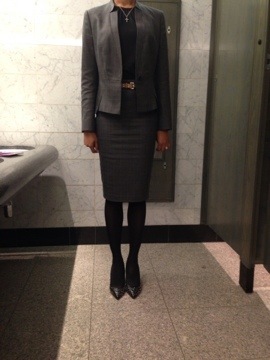 My photo of Narelle – lovely, isn’t she?! Website photo of Narelle – doesn’t really do her justice, does it? 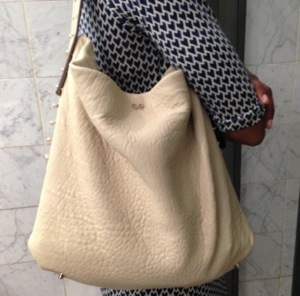 While I was at Westfield, I collected a bag I had bought online a few weeks ago. The Amber cross body bag by Coccinelle (reduced to £40, and now sold out). What should I do? Keep or return? I was hoping for a cherry red, but the Coccinelle Quency bag I was hoping would be a better option is actually a coral / red, which I don’t like. So… now I am looking at the red of the Amber bag again, wondering if it will be versatile enough (its heading towards burgundy and I want cherry. I think). 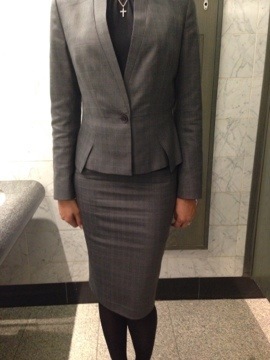 This entry was posted in Outfits and tagged Aldo, Cos, Jones the Bootmaker, Primark, Zara on January 27, 2013 by Belinda WornOut.